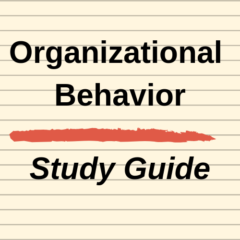 There are two main types of groups to consider in organization behavior, namely:formal and informal groups. Both formal and informal groups will exist with inside an organization. Formal groups have been structured by the organization’s management to achieve particular goals or to simply run the business. Informal groups are friendship and social groups formed by the employees within the organization. Formal groups will typically have a degree of structure, organization, authority, decision-making, designated tasks, assign roles, and so on. Whereas informal groups will be typically less structured without any particular responsibilities. As suggested by the names, relatively permanent formal groups are set up and established as long-term groups and typically deliver an ongoing part of the organization’s activities. For example, inside an organization you would have an accounting and finance department, structured as a long-term group. These functional area groups are often referred to as “command groups”, as they will have an individual placed in charge of the group, with the group being assigned certain responsibilities to achieve, along with the associated necessary authority. It is likely that most employees of an organization will belong to a command group and these groups will usually be identified in the formal organizational structure. Another relatively permanent group is known as an “affinity group”, which is an ongoing group within the organization whose members meet to share information and address problems on a regular basis. These differ from command groups as they are less structured and likely to have less authority and delegation. Affinity groups are helpful for sharing information, reducing politics and creating a more positive corporate culture. They are generally more commonly used in larger organizations. Relatively temporary groups are short-term groups set up to complete a project, undertakes research, achieve a certain outcome, and so on. Generally they relate to a short-term task (perhaps up to two years or so) with the long-term intention of discontinuing the group at some stage. These are often referred to as “task groups”, as they exist is to solve a particular task. An example here of a task group may be a new product development team. Therefore, employees could belong to both a command group and a task group within the same organization. And it is possible that the roles and responsibilities of the individual across both the command group and the task group could be in conflict, as they may have competing priorities for their time and output. Informal groups can also be classified as relatively permanent and as relatively temporary. An example of a relatively permanent informal group would be your long-term friend (your friendship group). An example of a relatively temporary informal group could be a sporting team for a season, people in an exercise class, a networking group, and so on. This second type of group would be considered a “interest group” as their relationship is structured around a particular interest or activity. As you can see, an individual employee could be a part of multiple groups within the same organization. For example they most likely be part of a “command group” and then be assigned to be part of a “task group”, while also being a regular member of some form of “affinity group”. In addition they are likely to have some informal group membership, such as having some friends in the workplace. And from time to time they may be also involved in an interest group, such as a sporting team put together at the organization. Next Next post: Why do people associate with groups?